*No dust jacket, good condition, there is no dust jacket and there is some marking on cover, a few pages have creasing on, however they are clean and lightly read. Loved this book. 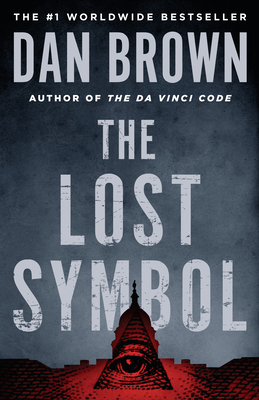 Some slow parts but Dan Brown is a master at building his story plot and sucking you in. I REALLY ENJOYED THE BOOK. IT IS LOADED WITH FACTS ABOUT WASHINGTON DC AND OUR FOREFATHERS, ALONG WITH THE MYSTERY. I loved the first two of the Robert Langdon books, Angels & Demons and The Da Vinci Code. I loved how Brown mixed in little known facts into his story to make it seem like you were learning something while being entertained. However, while the story was good, I felt that the information that was usually so well mixed in started to become forced. Like, the characters would have unrealistic conversations of, "Well, did you know that...." and the other would respond, "Yes, but did you also know...", and it was okay with the first two books, but this one was really unnatural. However, there is a twist at the end, and for me, it made up for it.